PHOTO TOUR: Revitalization Through Adaptive Reuse in Vallejo, Calif.
Temple Art Lofts in Vallejo, Calif. 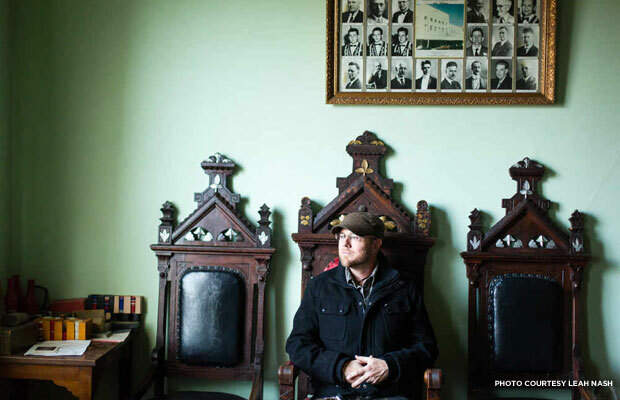 In the upcoming Spring issue of Preservation, we explore Vallejo, Calif., through the lens of the Temple Art Lofts, an adaptive reuse building that symbolizes the city’s decline and renewal. Through the 1990s, Vallejo’s economy boomed, thanks to the presence of the U.S. Navy’s Mare Island base. But when the Navy left in 1996, the dollars spent at local businesses dried up, and by 2008 the city had declared bankruptcy. Now, the skyrocketing price of real estate elsewhere in the San Francisco Bay Area is causing developers and entrepreneurs to take a second look at Vallejo. Case in point: developer Meea Kang, who boldly converted a pair of derelict historic buildings into the award-winning Temple Art Lofts. We had so many great photos of the Lofts and the surrounding city that we couldn’t use them all in our print story. So we’ve collected a few of our favorites here. Join us on behind the scenes in the waterfront city of Vallejo. Domus Development converted a 1917 Masonic temple and an 1872 City Hall into the Temple Art Lofts, an affordable housing community for artists. The building contains 29 efficiencies, one-bedrooms, and two-bedrooms, as well as studio spaces where the residents can work. 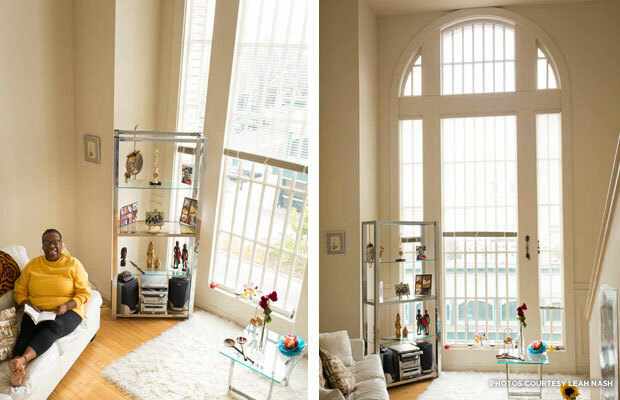 The Temple Art Lofts’ restored, arched windows usher sunlight into Bettie Nicole Flowers’ apartment. The building has served as a lifeline of sorts for the rap artist and filmmaker, who was priced out of other Bay Area housing. 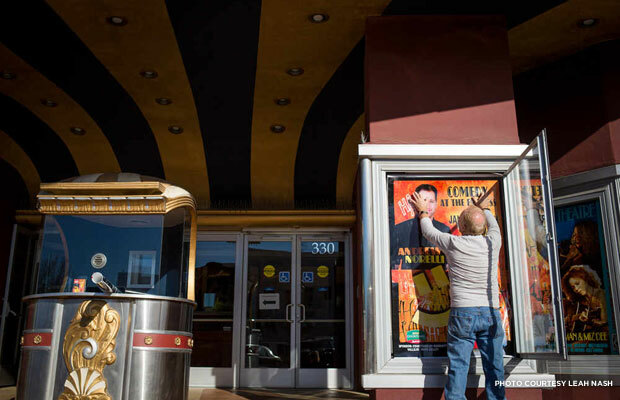 Next to the Temple Art Lofts, Tim MacDonald of the Vallejo Community Arts Foundation updates the poster outside the Empress Theatre. 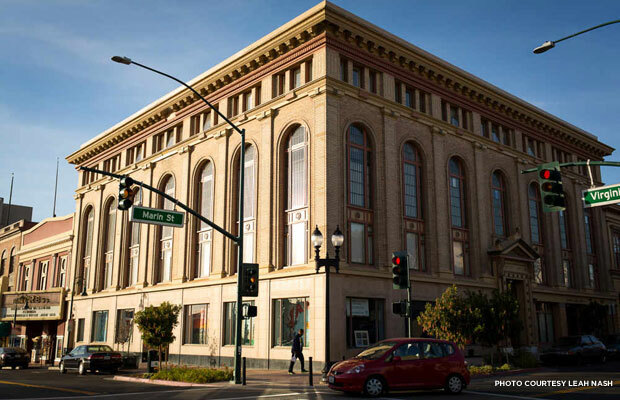 The 1911 Beaux Arts building has seen its share of ups and downs, including a 1930 fire, the Loma Prieta earthquake in 1989, and a 2007 restoration. It operated under a series of different names, including The Republic, The Vallejo, The Fox Senator, and The Crest, before going back to its original moniker in 1980. 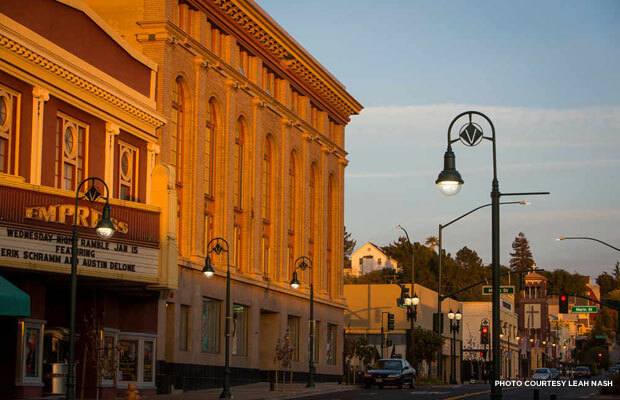 The city of Vallejo now owns the theatre and uses it to host concerts, comedy shows, and other performances. 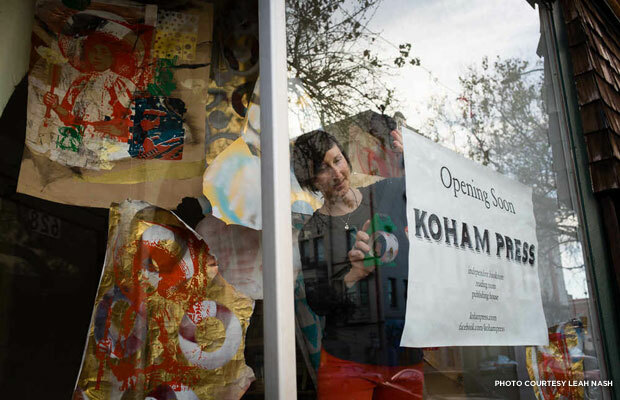 Rar Farmer prepares to open Koham Press, her new bookstore and small press in downtown Vallejo. Farmer is part of a small but significant wave of entrepreneurs opening businesses in the city, which has endured an economic slowdown since the U.S. Navy closed its Mare Island base there in 1996. Temple Art Lofts resident Sean Murdock sits at the Odd Fellows Lodge on Georgia Street, not far from the lofts. Murdock, also an artist, helped launch The Hub Vallejo, an art gallery on the ground floor of the lodge. And he’s involved with the Vallejo Art Windows project, yet another sign of the city’s blossoming art scene. 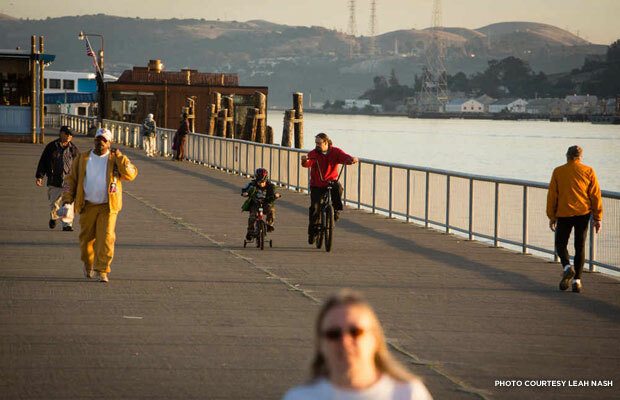 Locals enjoy biking and walking along the Vallejo waterfront, an hour-long ferry ride from San Francisco. Soon they’ll be able to drink craft beer there, too: Mare Island Brewing Company will open in the Vallejo Ferry Building later this spring, serving selections brewed in the island’s former coal sheds.